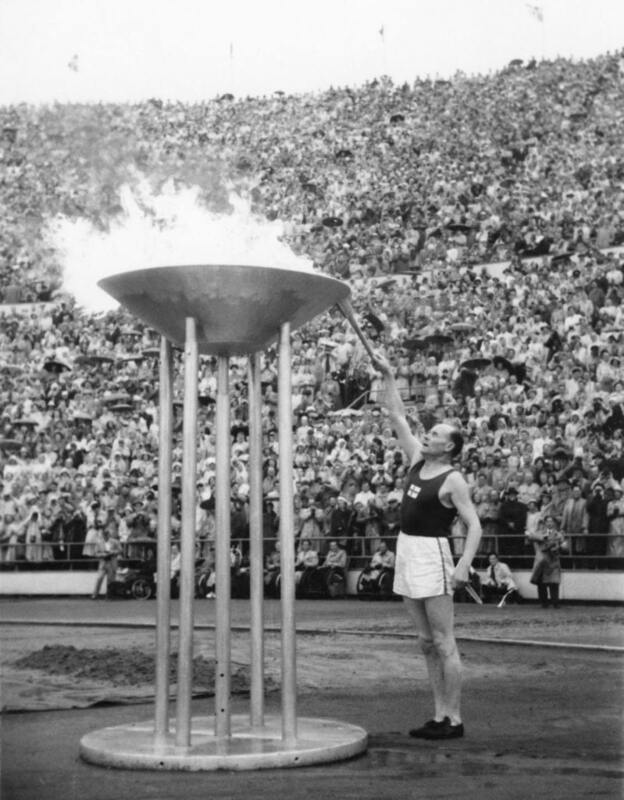 Paavo Nurmi lighting the flame in the cauldron at the Olympic Stadium at the opening ceremony of the Helsinki Games on 19 July 1952. The identity of the last bearer of the Olympic torch was kept secret until the very end. The nine-time Olympic champion was an obvious choice, but he had been reluctant at first and had to be persuaded to accept the honour.